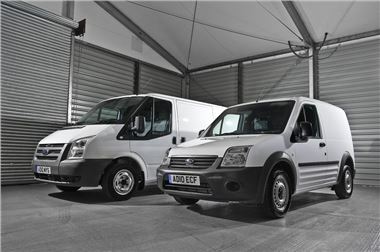 Ford is launching two new 'Leader' models, designed to appeal to private van drivers. Priced at £11,995, the Transit Leader is a standard 260 short wheelbase, low roof, van in frozen white which comes with a 2.2-litre TDCi, 85bhp engine. Customers have the option to add cargo stowage rails and Bluetooth mobile phone technology. The Transit Connect Leader is a standard 200 short wheelbase van, available in frozen white, colorado red or blazer blue. It has a 1.8-litre TDCi 75bhp engine and costs £9,995. Mark Simpson, Ford of Britain marketing director, said: "For 45 years Ford has delivered reliable and robust commercial vehicles to UK van drivers. Now Transit has become more accessible with the arrrival of Transit Leader and Transit Connect Leader for customers looking for the best possible proposition."